New Maserati Levante vs Porsche Macan | What Car? If you’re looking for an SUV with a commanding driving position, the Levante will appeal more. Behind the wheel, you feel higher than most other traffic, whereas in the Macan you find yourself looking up to most other large SUVs. 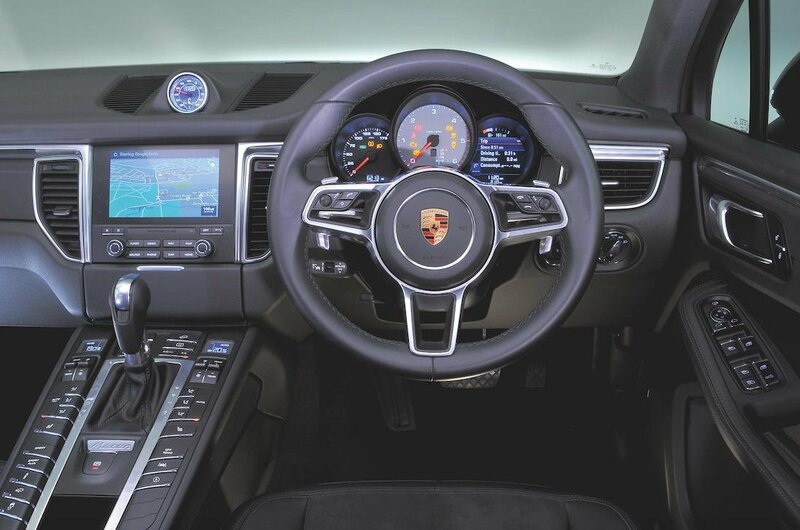 Neither car’s interior is a letdown, with plenty of soft-touch plastics and buttons that operate with slick precision, although the Macan’s has the edge for outright quality. However, while leather seats are standard on the Levante, you only get faux leather and Alcantara in the Macan – unless you fork out extra cash. Meanwhile, the Macan’s infotainment touchscreen is blessed with crisper graphics and more logical menus. 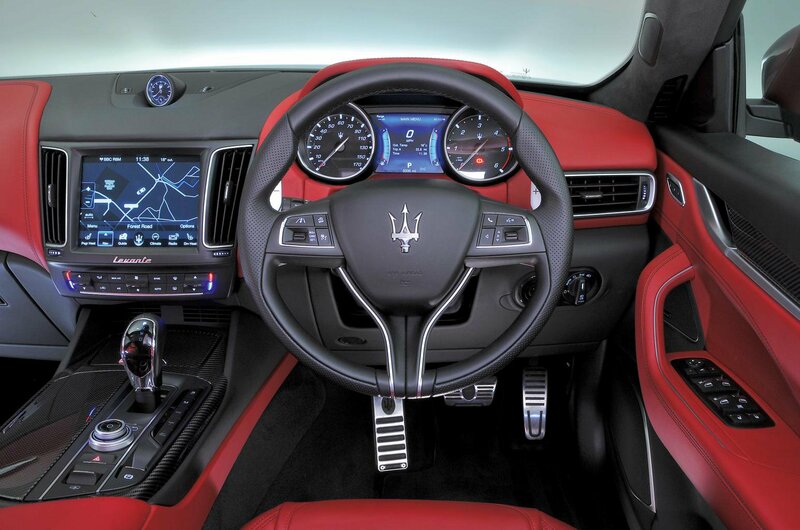 The Levante’s system can be controlled via the touchscreen, but there’s also a rotary dial controller between the front seats. The latter apes the interface you'll find in most comparable Audi and BMW models, but unfortunately Maserati’s version isn't particularly user friendly; we found it easier to stick with the touchscreen. The Macan isn’t perfect up front, though. There are too many buttons grouped around the gearlever, whereas the Levante’sdashboard is comparatively minimalist and easier to get your head around. The Levante also beats the Macan for front leg room, although you'll have to be seriously lanky to notice. Move to the rear seats, and you’ll find signifi cantly more leg room in the Levante. A six-footer will be comfortable sitting behind a similarly tall person in the front, and the rear seat backrest can also be reclined. However, the Macan does have a fair bit more head room for rear-seat passengers. The Levante scores again for its boot, which is longer than the Macan’s and larger regardless of whether the rear seats are up or folded down. The Macan counters with a boot that is more uniform in shape and is a little taller, with and without the parcel shelf in place.